It appears as if the Big 12 referees were once again determined to help the Longhorns win their football game as UT is spotted a second touchdown in as many weeks/games. If you remember last week, I created a post titled “Big 12 Referee Gives Longhorns Winning Touchdown.” Now, a week later, it appears as if lightning has struck twice! The Longhorns (and refs) were not able to win their game against the West Virginia Mountaineers on 6 October 2012. However, the refs held up their end of the bargain and spotted the Longhorns another touchdown despite neither the ball, nor the player, crossing the goal line. 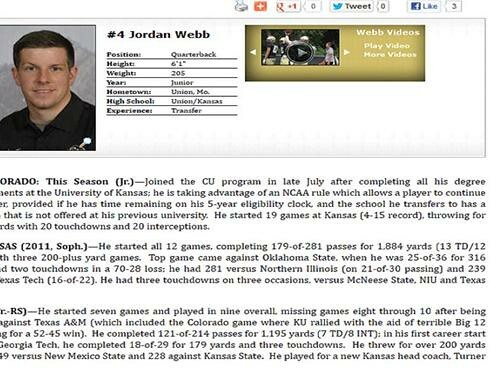 Jordan Webb, Colorado’s starting quarterback, has a pretty interesting bio page over at CUBuffs.com (Colorado’s official athletics website). However, it doesn’t tell us anything we didn’t already know. Webb played quarterback at Kansas in 2010 and ’11 before transferring to Colorado. 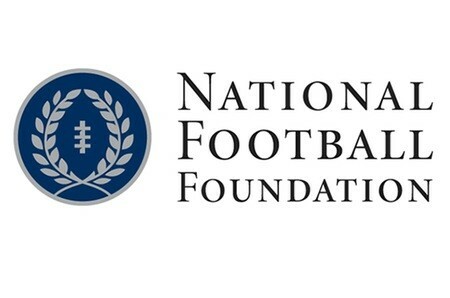 It is for this reason that most college football fans are relatively familiar with what he has done before now.